Founded in 2010, iTransport Services is one of only three certified providers under Miami-Dade County's Special Transportation Services (STS) Program. In addition, we offer private transportation options to individuals with special transportation needs, including our VIP non-emergency transport service. We are dedicated to helping individuals that have special mobility needs gain independence through the use of our special transportation services. Averaging 4,000 trips per week, we pride ourselves in providing our passengers the highest quality transportation experience from the moment we arrive at our passenger's pick up location to the moment our passenger arrives at his or her destination. Our mission is to provide our special transportation needs community with a transportation option that gives them the freedom to travel independantly while enjoying a safe, friendly and reliable transit experience every time. 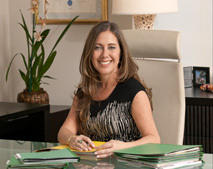 iTransport Services was founded by Joanne R. Urquiola, a first generation Cuban-American woman, with a vision to provide a safe, reliable, quality transportation service tailored to meeting the special needs of the elderly and of those individuals that require special care and assistance. In her personal life, she has experienced first hand the challenges of two children in her family with special needs, one child with Spina-Bifida and the other with Dechenne's Muscular Dystrophy. She understands the sensitivity that is required to care for, assist and transport individuals with special mobility needs and has made it her goal to create a company that will address with the highest level of care and respect, the needs of such individuals. A woman and minority-owned company, iTransport Services has been recognized as a Disadvantage Business Enterprise. At iTransport Services we believe corporate responsibility is a fundamental part of doing business. We are committed to being a company that makes a difference in people’s lives by giving back to the community where we live and work through financial contributions and hands-on volunteerism. We’ve teamed up with some great organizations making a difference for the people of South Florida, including United Way of Miami and the YMCA of South Florida.